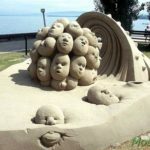 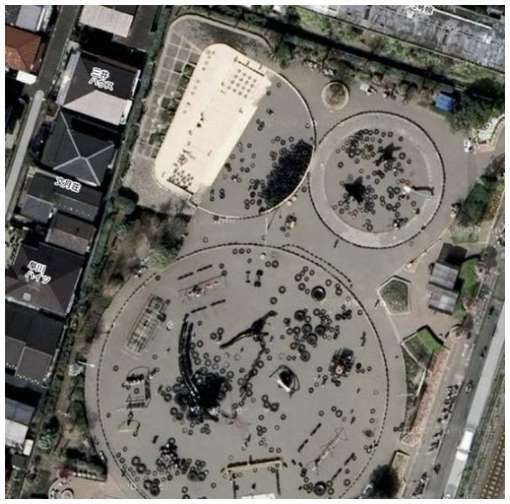 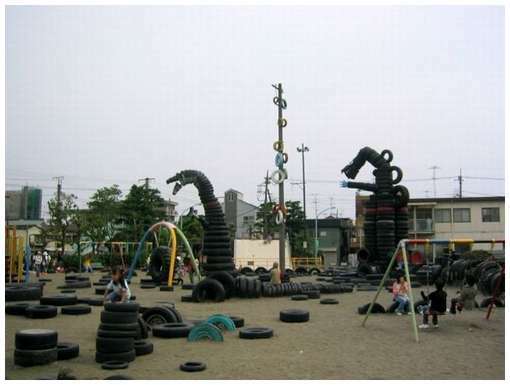 This playground, covered completely with sand, is filled with big tires in every combination: dinosaurs reaching to the sky, tire “monsters,” regular and tire swings, bridges, slides, climbing equipment, and loose tires lying everywhere for free play. 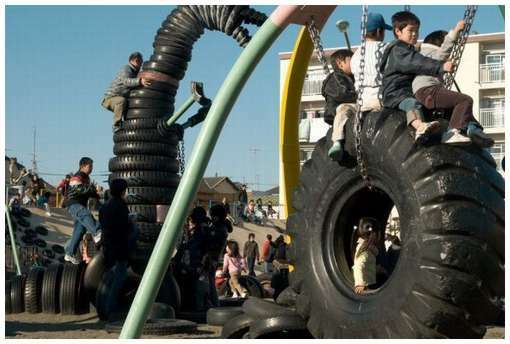 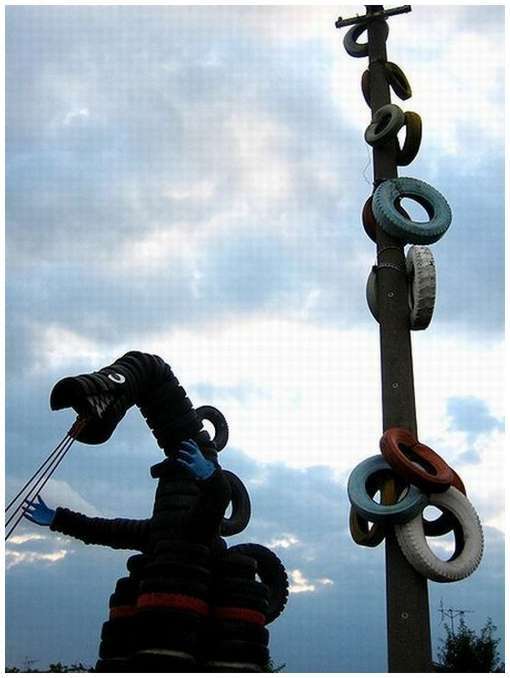 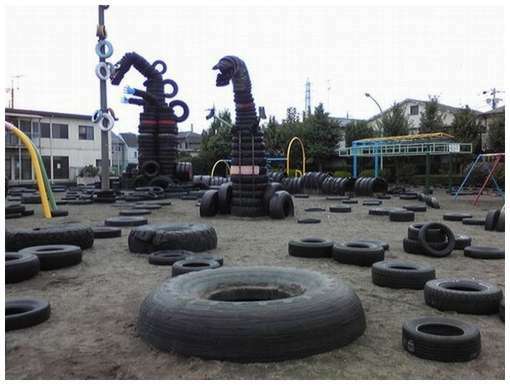 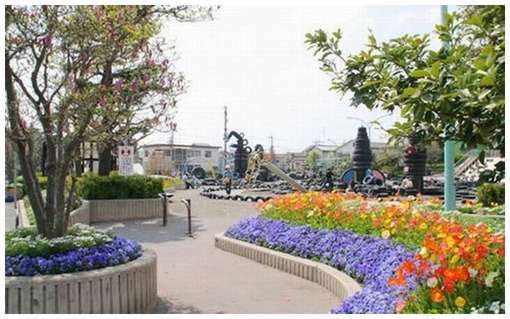 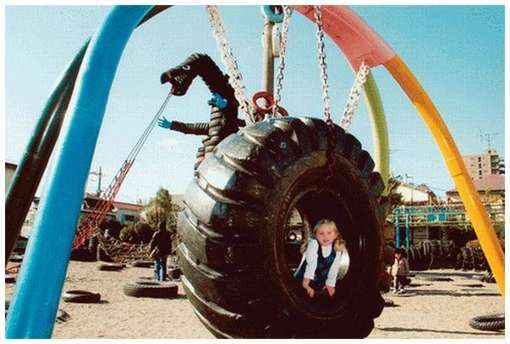 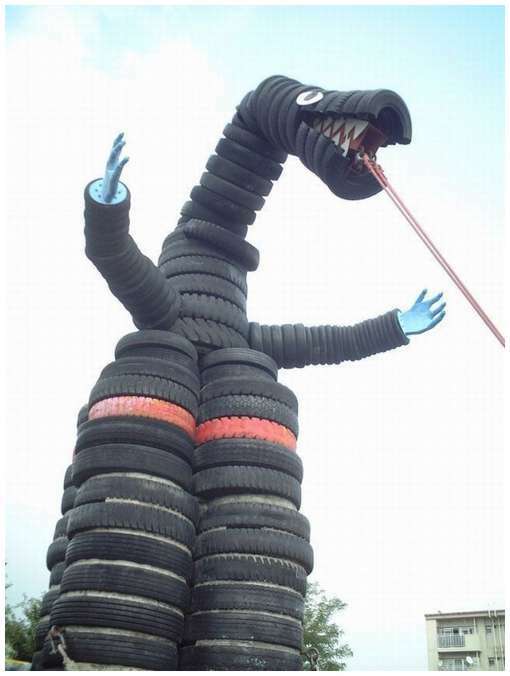 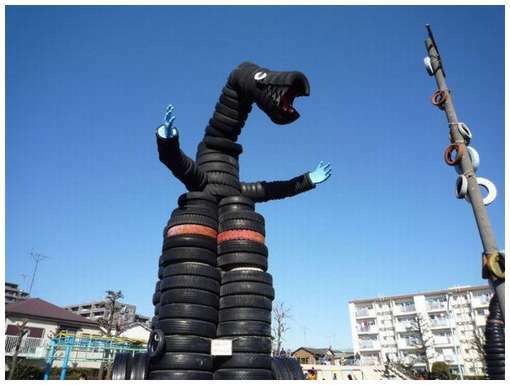 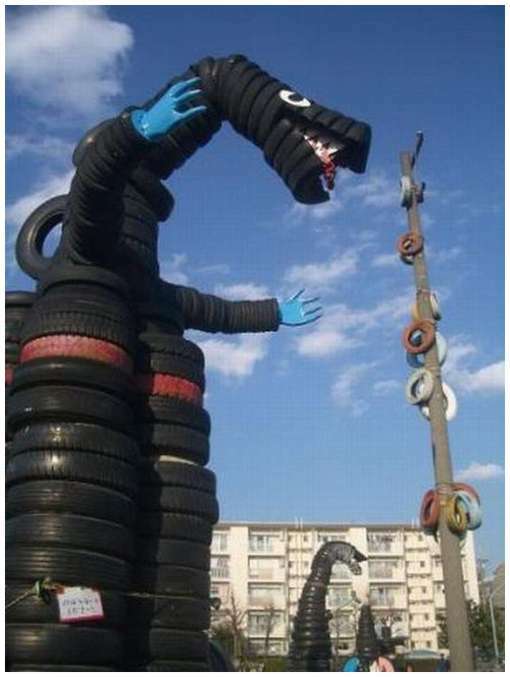 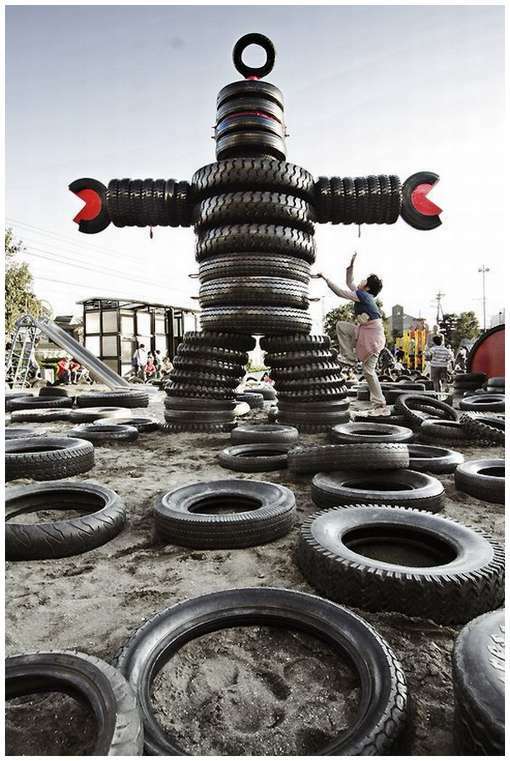 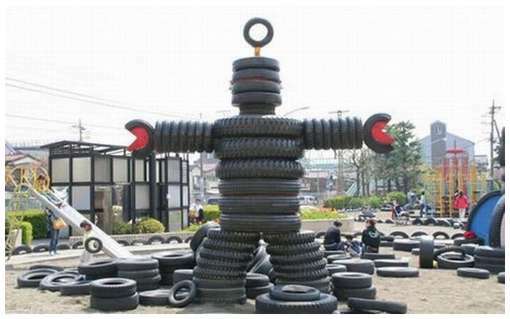 Approximately 3,000 old tires are used to set up this playground. 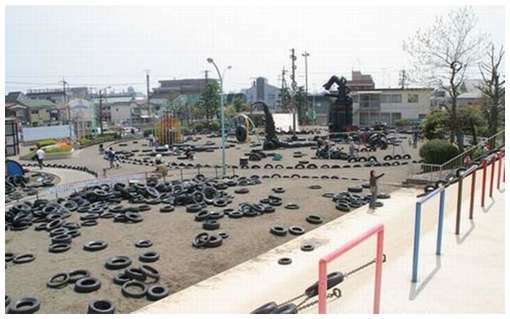 I wish there was a playground like this in my neighborhood!